First of all, I recommend everyone to check out this link. It has lots of good information for VCAP – DCA exam. I’m going to put some conclusion I made from my point of view. Please let me know if there are any problems or mistakes. Few things we need to learn for this Objective. 1. VMware FT record some of important activities from primary and pass to secondary VM to execute. It means not all activities will be past through to secondary VM. The primary VM and secondary VM stay in sync with each other by using a technology called Record/Replay that was first introduced with VMware Workstation. Record/Replay works by recording the computer execution on a VM and saving it as a log file. It can then take that recorded information and replay it on another VM to have a replica copy that is a duplicate of the original VM. Instead, only non-deterministic events are recorded, which include inputs to the VM (disk reads, received network traffic, keystrokes, mouse clicks, etc.,) and certain CPU events (RDTSC, interrupts, etc.). Inputs are then fed to the secondary VM at the same execution point so it is in exactly the same state as the primary VM. The primary VM transmit Network traffic+disk traffic+overhead (20%) to secondary VM. That’s why it requires dedicated Gbit nic. 2. There lots of comparison between FT,HA and MCSC. When and where shall we use which tech? FT is more focus on short recovering period for host failure. It doesn’t require VM to restart (like HA) and it also can work with different OS other than Microsoft(MSCS can only work for MS OS). It’s easy to setup and easy to use. With MSCS, it has capability to monitor application level to let secondary machine to take over. It’s faster than HA and can understand how application works. In a server cluster, each server owns and manages its local devices and has a copy of the operating system and the applications or services that the cluster is managing. Devices common to the cluster, such as disks in common disk arrays and the connection media for accessing those disks, are owned and managed by only one server at a time. For most server clusters, the application data is stored on disks in one of the common disk arrays, and this data is accessible only to the server that currently owns the corresponding application or service. Clustering on iSCSI, FCoE, and NFS disks. ESXi than another cluster node. Use of MSCS in conjunction with VMware Fault Tolerance. Migration with vMotion of clustered virtual machines. With native multipathing (NMP), clustering is not supported when the path policy is set to round robin. You must use hardware version 7 with ESX/ESXi 4.1. First of all, I just finished my Vmware Training. I have to say I am not satisfy with training at all. As Vmware training high cost, we expect an intense, high quality and extended training. But it doesn’t come out even near as what I expected before. Therefore, I write this article to show you how to choose best Training Centre and the best courses for you. What’s difference between a good instructor and a normal instructor? A good instructor supposes know Vmware product inside to outside. He knows not only whatever is written on the ppt file and your textbook, he also supposes to give you real world examples and bring up, what it is, how it works and why it is designed in this way. My first Vmware training experience was so great. My trainer knows everything about ESX 3.5 and SAN, I had 5 days intense training and we finished at 5:30pm or even later until the building manager kicked us out. However, my latest Vmware training instructor only just reads whatever on the books and can’t give us any real examples. He is also not able to answer any questions out of book as well. Not mention some valuable tricks. I’m wondering what’s qualification to become a trainer? If it’s just like that, I can just read training book for one month, and I can become a qualified trainer too!!?? Does training center reputation matter? The answer is no. The quality of training is totally up to your trainer. As matter of fact, some small or new training centre has very good instructors. So don’t always look for biggest training centre for training. What kind of questions should I ask about my trainer? Is your trainer an employee of Vmware? Is your trainer full time employee of your centre or part time? How long has your trainer teaching vmware technology? 1. Is your trainer an employee of Vmware? If the answer is yes, then you are lucky! The best trainers may not necessary work for Vmware. But Vmware guys are the best trainers! so you need to prepare yourself in the class for knowledge impact. 2. Is your trainer full time employee of your centre or part time? So you got first answer as no, that’s why you asked this question. If your trainer is full time working for training centre, you may want to change to another training organization. He may has no real life experience and read bed time story for you before you close your eyes. If he is just a part time for training, then, luck you! You will have lots of real world cases to learn!! 3. How long has your trainer teaching vmware technology? A good trainer supposes teaching vmware for at least 3 or 4 years. If your trainer is very new about teaching vmware, please ask what his job was to determine whether he has enough knowledge or not. 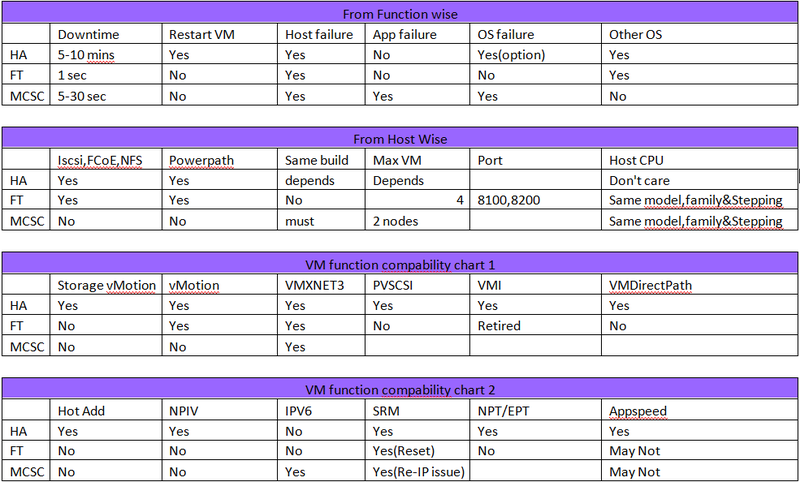 How to choose your Vmware Course? Vmware vSphere has lots of course. Not all courses available to your country or city. Please confirm it from your training centre. I have you a list of possible course you may find. (Please don’t attend this course but go to http://www.vmware.com to read OverView doc). This hands-on training course explores new features in future versions of VMware vCenter Server and ESX andESXi, as well as how to upgrade. (Please don’t attend this course but go to http://www.vmware.com to read What’s new doc). 4 Day VMware Course covering the installation, configuration and management of VMware vSphere. This 1-day course equips delegates with the ability to build and run a scalable vSphere 4 virtual infrastructure. 4-day advanced course that gives delegates the skills required to troubleshoot the Vmware vSphere virtual infrastructure competently. This 4-day hands-on course explores the management of performance in a VMware® vSphere™ environment. 3 day course covering the installation, configuration and management of the VMware View components. 2 Day VMware Site Recovery Course – Learn to install, configure and operate VMware Site Recovery Manager. 1 Day Workshop on VMware Infrastructure – Learn how the infrastructure will affect your day-to-day work. 2 day Capacity Planner course aimed at systems engineers offering server consolidation services to their clients using VMware products.